National Seminar on "Techno-economic Viability of Sugarcane Juice and B-Heavy Molasses as Alternate Feed Stock for Ethanol Production" was organized jointly with The Sugar Technologists’ Association of India on 16th October 2018 at NSI, Kanpur. Papers relating to differential pricing policy for ethanol & relative economics of ethanol production from conventional route, B-Heavy molasses & cane juices were presented. From 26th to 28thOctober 2018, Institute took part in “Krishi Kumbh” organized at Indian Institute Sugarcane Research, Lucknow. Display of solar seed treatment unit, electrocoagulation based effluent treatment unit, bio gas unit and many more institute activities was made during the event. Institute jointly with Co-generation Association of India organized “One day meet on Ethanol for Promotion of Distillery/Ethanol Projects” on 31st October 2018 at Kanpur in which large number of delegates from Uttar Pradesh, Bihar, Uttarakhand &Haryana participated. International Conference on "Production of Sugar & Sugar Derivatives under Changing Consumer Preferences" was organized at the institute on 18 to19th July 2018. More than 300 delegates from USA, UK, Uganda, Sri Lanka, Indonesia, Nepal, Thailand and of our own country participated in the Conference. Presentations were made on production of various types of sugars keeping in view their direct and industrial consumption. In addition to this, presentations were also made on production of low-calorie sweeteners and cane juice preservation. Director, NSI, attended the 12th World Congress on “Bio-fuels & Bio-energy” with Prof. D Swain at Zurich, Switzerland. He also made a presentation on the topic "Efficient Use of Sugarcane Bio-Energy for Sustainable Sugar Production in India". One-day Seminar on “Production of Sulphurless Raw Sugar followed by Refined Sugar” was jointly organized by National Sugar Institute & Nirani Sugars Ltd. at Nirani Sugars Ltd. Mudhol, Karnataka. Director, National Sugar Institute inaugurated the Annual Symposium of “Bharatiya Sugar” at Kolhapur on the topic "Sustainability of the Sugar Industry". One day National Seminar “AMIFOST 2018” was jointly organized with Amity University, Noida, wherein a presentation on “Sugar-Life-Health & You” was also made by the institute. National Seminar on the important topic of "Modern Technologies for Reducing Effluent Generation in Sugar Processing/Distilleries and Further Treatment to Meet CPCB Norms" was organized by the institute jointly with S.Nijalingappa Sugar Institute at Belagavi on 27th April 2018. Two papers were presented on the related topic by the up-coming Sugar Technologist of the institute. Director, National Sugar Institute attended “Annual Business Meet” organized by M/s EID Parry at Bangalore on 20th April 2018.During the meet, he delivered a lecture on “Sustainability of Indian Sugar Industry – Cost Effective Sugar Production & Beyond”. Director, National Sugar Institute attended two days seminar organized by All India Distiller’s Association (AIDA), New Delhi on 26-27th April 2018, wherein he emphasized upon use of alternate feed stocks for alcohol production to meet requirement of various sectors & make EB10 a success. National Workshop on “Sugar Industry in Northern India-Road Map for Crushing Season 2018-19” organized at the institute on 26th June 2018 wherein brainstorming on cane price fixation mechanism, diversification, value addition, sugarcane varietal balance, branding of Indian Sugars and on environmental issues were carried out. Institute participated in the International Conference & Agri Expo 2018 on “Sustainability of Smallholder Agriculture in Developing Countries under Changing Climatic Scenario” organize The Society of Agricultural Professionals & University of Agriculture & Technology from 14-17th February 2018, at Kanpur. Dr. V.P. Srivastava, Asstt. Prof. of Organic Chemistry attended the 22nd Chemical Research Society of India (CRSI) National Symposium in Chemistry, organized by, Pt. Ravi Shankar Shukla University Raipur, Chhattisgarh from February 2-4th, 2018 at School of Studies in Chemistry. During the Symposium, Dr. Srivastava presented a research paper on “Pot-Efficient Synthesis of a Renewable Surfactant using Sugarcane derived Lignocellulosic Biomass”. Shri S. K. Trivedi, Asstt. Prof. Sugar Technology and Shri Vinay Kumar, Asstt. Prof. Sugar Engineering attended one day workshop on “Patent capacity building program on Basic of IPR, Foreign patent filling, EPO tools, filling procedures and deliberations on drafting” organized by SIDBI Innovation and Incubation Center, Kanpur, IIT Kanpur in association with European Business Technology Center (EBTC) and the European Patent Office (EPO) on 3rd February, 2018 at IIT, Kanpur. Dr. V.P. Srivastava, Asstt. Prof. of Organic Chemistry attended National Food Conference on Agriculture and Technology Innovations for “Nutritional Security-NFC 2018” held on 9-10th February, 2018 at Centre of Food Technology, University of Allahabad, U.P. & presented a poster on “Alternative Sweeteners as sugar substitute: incentive, influence & innovation”. One day meet on Ethanol Production and Incineration boiler based co-generation units in molasses based distilleries organized jointly by NSI and Cogen India on 15thMarch, 2018 at Lucknow. Shri J. P. Srivastava presented a paper on "Indian Molasses based Distillery: Ethanol & Power Export Potential" during the conference. Prof. Narendra Mohan, Director and Shri D.Swain, Prof. Sugar Engineering attended the IAPSIT-2018 held at Udon Thani, Thailand from 6-9th March, 2018. Director, NSI delivered a key note address on “Green Energy from Sugar Industry” during the conference. Two more papers were presented during the conference. Prof. Narendra Mohan, Director, upon invitation visited Sugar Research Institute, Ahvaz, Iran. Discussions were held with Sugar Research Institute officials for collaborative research work and development of the Sugar Research Institute at Iran. He also visited few factories to have a first look into the technical efficiencies of the plants for improvement. One day workshop/views sharing session on draft Charter for sugar factories situated in river Ganga Basin was organized by NSI on 23rdMarch, 2018 at NSI, Kanpur. Dr. Vishnu Prabhakar Srivastava, Asstt. Professo Organic Chemistry attended a short course at IIT, Kanpur of duration 6 days from February 26 to March 03, 2018 on "Reinventing fly ash into near-whitened material for generating white polymer composites: Technological Advancements" as a part of "Global Initiative of Academic Network (GIAN) Course, sponsored by MHRD India and AICTE. One day workshop on "Upcoming technologies for effluent treatment in sugar industry" was organized at NSI, Kanpur on 24th October 2017. Shri D K Saxena, Chief Executive Officer, HPCL Biofuels graced the occasion as "Guest of Honour". Lively discussions were held on the technologies for treatment of spray pond overflow and condensate polishing units. Prof. Narendra Mohan, Director, Director attended a short course on “Enhancing Nutrient Use Efficiency through Next Generation Fertilizers in Field Crops” on 21st November 2017 at IIPR, Kanpur as Chief Guest. One day all India seminar was jointly organized by NSI and SNSI on “Advance Technologies for Raw-Refined and Specialty Sugar Production" on 28th August, 2017 at Belagavi, Karnataka. The seminar was attended by large no. of delegates from Karnataka, Maharashtra and Tamil Nadu. Shri Narendra Mohan, Director inaugurated International Symposium and Expo at Kolhapur where he was also Conferred with "Bharatiya Sugar Award” for overall outstanding performance as “Institutional Head-National Level". Dr. Vishnu Prabhakar Srivastava, Asstt. 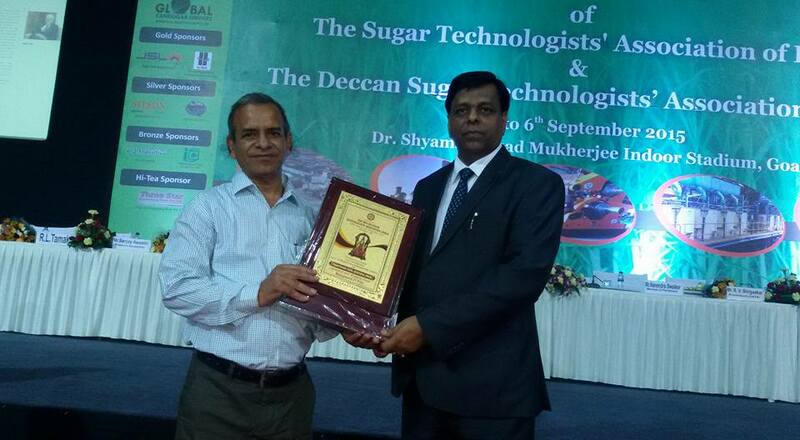 Professor, Organic Chemistry was conferred with "Bharatiya Sugar Award” for “Best overall performance in R&D". Shri Narendra Mohan, along with Shri D.Swain, Prof. Sugar Engineering, Shri J.P.Srivastava, Chief Design Engineer, Dr. A.Bajpai, Prof. Sugar Technology and Dr. V.P.Srivastava, Assistant Prof., Organic Chemistry attended 75th Annual Convention of STAI from 3rd to 5th August, 2017 at Kochi. While Shri Narendra Mohan, Director was conferred with “Industry Excellence Award”, Shri J.P. Srivastava got ISGEC Gold Medal Engineering for Excellence. Four nos. research papers were also presented by the institute experts on this occasion. Sugar Tech -2017 was jointly organized by NSI and CII on 20th September, 2017 at Lucknow. Hon’ble Minister of Sugarcane Development and Industries, Shri Suresh Rana and Principle Secretary (Sugar), Government of U.P also graced the occasion. Various issues concerning sustainability, environment & modernization of sugar industry were discussed during the seminar. A paper entitled “Indian sugar industry - A way forward” was also presented by the institute. Two days National Seminar jointly organized by NSI-CSA University of Agril. & Technology on “Integrated approach for enhancing sugarcane & farm productivity by adopting improved cultivation and analytical practices"b> on 6-7th April, 2017 at NSI, Kanpur. Shri Ashok Kumar, Asstt. Prof. Agriculture Chemistry presented paper on “Site specific nutrient management for maximization of crop yield and sustaining soil health” during the seminar. One day National Workshop of "Reduction in Bagasse Moisture-Technological Options” organized by National Sugar Institute on 17th April, 2017 at NSI Kanpur. The delegates from Tamil Nadu, Maharashtra, Karnataka, Bihar, M.P., Punjab, Haryana, Uttarakhand, Gujarat, Andhra Pradesh, New Delhi and U.P attended the seminar. Shri D. Swain Prof. of Sugar Engineering presented paper on “Moisture Reduction in Bagasse Technological Options” during the seminar. During the seminar comparative study with respect to reduction in steam consumption vs reduction in bagasse moisture was also presented. Various technology providers, KCP Chennai & JPMA, Pune also presented details of their technology for reducing moisture % bagasse during milling. Shri Narendra Mohan, Director, National Sugar Institute and Shri Vinay Kumar, Asstt. Prof. Sugar Engineering attended the 6th Technical Seminar organized by U.P. Distillers Association on "Modernization and Improvements in Distillery Industry" on 28th April, 2017 at Noida. Shri Vinay Kumar presented paper on “Zero Spent Discharge RSW Evaporation & Incineration Boiler” during the seminar. Shri Narendra Mohan, Director, National Sugar Institute addressed STAI Seminar as Guest of honour & delivered lecture on “Comparative Evaluation of Carbonation & Phosphatation process keeping in view Industrial uses of Sugar” during the seminar held on 19th May, 2017 at Gangtok, Sikkim. Director, National Sugar Institute also addressed, interactive Session organized by UPSMA at Lucknow on "Adequacy of ETP to meet CPCB guidelines." He tried to put factual situation before the gathering and efforts required to be carried out by the Sugar industry keeping in view the CPCB/SPCB guidelines. He emphasized upon formulating separate norms for discharge from conventional standalone sugar plants, sugar plants with high pressure co-generation & from sugar refineries. 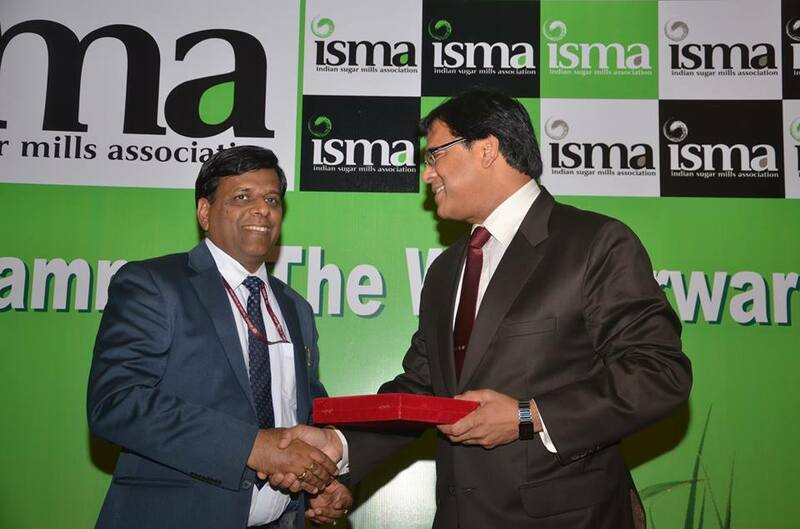 Shri D. Swain, Prof. of Sugar Engineering and Shri Anoop Kanaujia, Asstt. Prof. of Sugar Engineering presented their research paper on “Bagasse Drying, an Efficient Way of Saving Fuel in Sugar Industry” during the all India Seminar organized by The Sugar Technologist’s Association of India on 3rd February 2017 at Meerut, U.P. Shri V.P. Srivastava, Asstt. Prof. of Organic Chemistry attended Indo-German Workshop on Recent Applications of Carbohydrates in Chemistry and Biology (RACCB-2017) from 14-16th February 2017 at IIT BHU, Varanasi and made a poster presentation on “Utilization of Lignocellulogic Waste Biomass of Sugar Industry as a Precursor to Access a Carbocatalyst”. Shri Narendra Mohan, Director, National Sugar Institute, delivered key note address on “Energy and Water Conservation” during the seminar organized jointly by SISSTA and SNSI, at Belagavi, Karnataka on 25th February, 2017. Shri Vinay Kumar, Asstt. Prof. of Sugar Engineering and Shri Virendra Kumar, Technical Officer (Instrumentation) also presented their paper on “Utilization of Solar Energy: An Opportunity for Indian Sugar Industry” during the seminar. Shri Narendra Mohan, Director, delivered a lecture on “Indian Sugar Industry-Recent Trends” during the Faculty Development Program (FDP) on Emerging Trends in Food and Bioprocess Industries organized by Harcourt Butler Technical University, Kanpur on 10th February, 2017. Shri Narendra Mohan, Director and Dr. (Mrs.) Seema Paroha, Prof. of Biochemistry attended national seminar on “Production of Ethanol/Biofuels from alternate source, ZLD through effluent treatment” organized by AIDA at New Delhi on 22nd & 23rd February, 2017. Dr. (Mrs.) Seema Paroha, Prof. of Biochemistry also presented a paper on “An overview of Indian cane molasses quality and need for alternate feed stocks” during the seminar. Dr. Ashutosh Bajapi, Prof. of Sugar Technology attended one day all India seminar on “Emerging Trends in use of Stainless Steel to combat Corrosion in Sugar & Allied Industries” organized by The Sugar Technologist’s Association of India on 4th March, 2017 at Pune. During the seminar Dr. Bajpai presented a paper on “Overview of Corrosion of Process Equipment in Indian Cane Sugar Industry”. Shri Narendra Mohan, Director, National Sugar Institute inaugurated National Conference on “Advances in Chemistry for Sustainable Development” organized by Harcourt Butler Technical University, Kanpur on 22nd March, 2017 at HBTU Kanpur. He also delivered a lecture on need for a cohesive effort for development of low cost indigenous technologies with all concerned disciplines joining hand in hand. Shri Narendra Mohan, Director, National Sugar Institute and Dr. Ashok Kumar, Asstt. Prof. of Agriculture Chemistry attended the National Conference on “Farmers Centric Agri-innovation for Sustainable Development” organized by C.S. Azad University of Agriculture & Technology, Kanpur on 24-25th March, 2017 at Kanpur. Dr. Ashok Kumar made a paper as well as poster presentation on “Effect of Potassium Application on Nutrient Uptake, Yield and Quality of Sugarcane & Sustainable Soil Health” during the conference. Shri J.P.Srivastava, Chief Design Engineer and Shri M.P. Singh, Sr. Technical Asstt. (Sugar Tech) presented their papers on “Energy Efficiency in Sugar Mills” and “Reducing Steam Consumption in Boiling House – An Overview” respectively during one day all India seminar organized by STAI on 14th October, 2016 at Amritsar. Shri Mool Chandra, Jr. Technical Officer (Sugar Technology) also attended the seminar. Shri Narendra Mohan, Director, Shri Doctor Swain, Prof. Sugar Engineering, Dr. Seema Paroha, Prof. Bio Chemistry, Shri A.K. Garg, Asstt. Prof. Sugar Technology and Shri Brajesh Singh, Technical Officer (Instrumentation) attended the International Conference and Exhibition on “Sugarcane Value Chain – Vision 2025 Sugar” organized by Vasantdada Sugar Institute from 13-15th November, 2016 at Pune. Three days residential training programme on “New Development in Pollution Control Technologies (Water & Air) – Adequacy and Efficiency (with field visits)” for the officers of various State Pollution Control Board’s was organized by the Institute at NSI from 9th - 11thNovember, 2016. 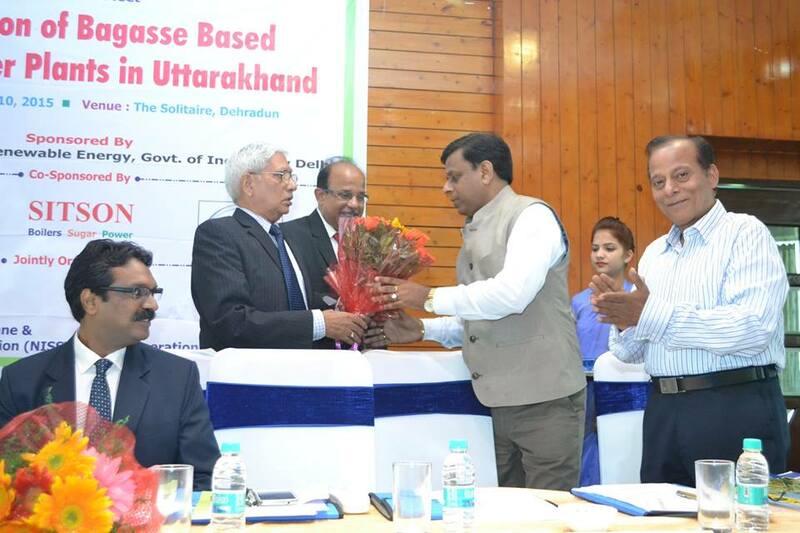 Officials from UP, Uttarakhand, Punjab, Gujarat, MP, Rajasthan attended the training programme. Shri Narendra Mohan, Director, Dr. Ashutosh Bajapi, Professor of Sugar Technology, Dr.V.P. Srivastava, Asstt. Professor of Organic Chemistry and Shri Mahendra Yadav, Junior Technical Officer(Sugar Technology) attended the 29th Congress of ISSCT from 5th to 8th December 2016 held at Chiang Mai, Thailand to present their research papers. Shri Narendra Mohan, Director and Shri Mahendra Kumar Yadav, Junior Technical Officer(Sugar Technology) attended the National Seminar on “Challenges, Opportunities and Innovative Approaches in Sugarcane: Agriculture, Bio-energy and Climate Change” organized by U.P. Council of Sugarcane Research, Shahjahanpur, U.P., from 21st to 23rd December, 2016. Shri Narendra Mohan, Director also presented a paper on “Sustainability of the Indian Sugar Industry: A Road Map” during the seminar. Prof. Narendra Mohan, Director, Dr. Ashutosh Bajpai, Prof. Sugar Technology, Shri J.P. Srivastava, Chief Design Engineer, Shri Sanjay Chauhan, Asst. Prof. Sugar Engineering, Shri Anoop Kanaujia, Asstt. Prof. Sugar Engineering, Shri MahendraYadav, Junior Technical Officer (Sugar Technology), Shri Vivek Pratap Singh, Junior Technical Officer (Sugar Technology) and Shri Brajesh Singh, Technical Officer (Instrumentation) attended the 74th Annual Convention of STAI at New Delhi from 27th -29th July, 2016. Director, NSI, Kanpur attended the 46th annual convention of SISSTA, at Chennai, Tamil Nadu, on 15th -16th July, 2016 and also inaugurated the Expo. Dr. V.P. Srivastava, Asstt. Prof. Organic Chemistry and Shri MahendraYadav, Junior Technical Officer (Sugar Technology) who accompanied the Director presented their research paper during the 46th Annual Convention of SISSTA at Chennai, Tamil Nadu. Director, NSI, Kanpur delivered lecture on “Ethanol Outlook” organized on 22-23rd August, 2016 at New Delhi and also participated in the panel discussions on: “Indian Fuel Ethanol Programme-The Way Forward”. Shri S.K.Trivedi, Assistant Prof. Sugar Technology and Shri Anoop Kanaujia, Assistant Prof. Sugar Engineering attended the workshop on “Concentrating Solar Thermal Technologies for Industries” jointly organized by Confederation of Indian Industry with M/o New and Renewable Energy, Govt. of India on 22nd July, 2016 at Lucknow. 1) Dr. Jahar Singh, Asstt. Prof. Sugar Technology and Education In-charge attended a workshop on “To sensitize the Management and Teachers of Technical Institutions to ensure time bound implementation of various measures to be taken the meanace of Sexual Crime against women” organized by All India Council for Technical Education on 28th November, 2015 at Lucknow. 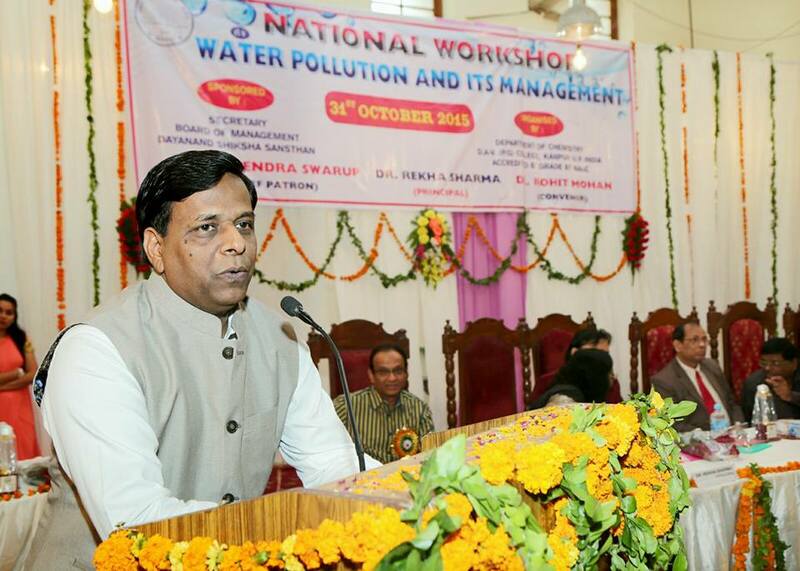 2) Shri Narendra Mohan, Director delivered a lecture during the National Workshop on “Water Recycling & Pollution Control in Sugar Industry and its Management” on 31st October, 2015 at DAV-PG College, Kanpur. 3) Dr. Lokesh Babar, Jr. Scientific Officer, Agri. Chemistry attended 08 days Model Training Course on “Advances in Sugarcane Agri-Business Management Systems” sponsored by Ministry of Agri. & Farmers Welfare, Govt. of India from 6-13th October, 2015 at Indian Institute of Sugarcane Research, Lucknow. 4) Shri Narendra Mohan, Director and Shri Vinay Kumar, Asstt. 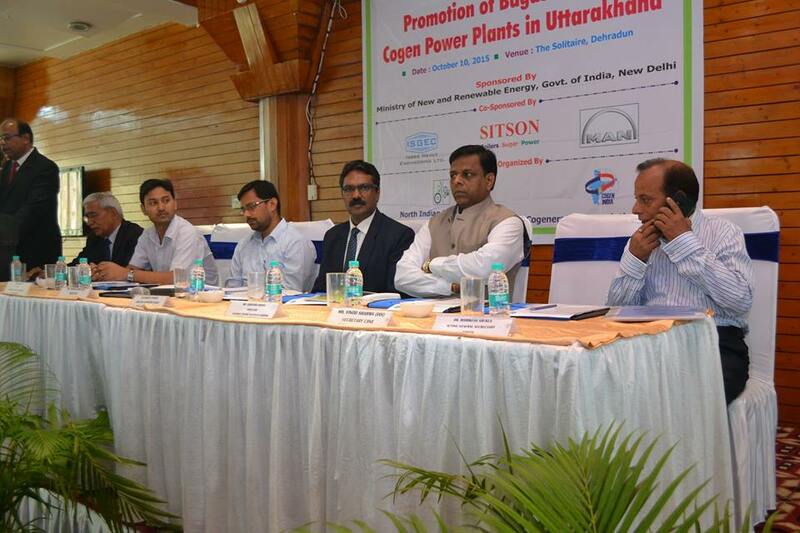 Prof. Sugar Engineering attended an All India Business Meet on “Promotion of Bagasse based Co-gen Power Plants” organized by MNRE and Cogeneration Association of India on 10th October, 2015 at Dehradun, Uttarakhand. 5) Dr. Santosh Kumar, Asstt. Prof. Bio-Chemistry presented a research paper during an All India Seminar on “Fermentation and Distillation Technologies to improve Alcohol Recoveries and Production”, “Water and Energy Conservation in Distilleries”, Effluent Treatment Technologies to achieve Zero Spent Wash Discharge” (ZSD) organized by All India Distillers Association on 8th - 9th October, 2015 at Bengaluru. 6) Shri D. Swain, Prof. Sugar Engineering, Shri S.K. Trivedi, Asstt. Prof. Sugar Technology and Shri Vinay Kumar, Asstt. Prof. Sugar Engineering attended an All India Business Meet on “Promotion of Bagasse Based Co-gen Power Plants” organized by MNRE and Cogeneration Association of India on 8th October, 2015 at Lucknow, UP. 7) Shri Narendra Mohan, Director inaugurated & addressed one day Business Meet on “Policy, Techno Commercial & Financial issues in Integrated Distillery/ Ethanol Project along with Incineration Boiler & TG Set” on 30th September, 2015. at Belgaum Karnataka. 8) Shri Narendra Mohan, Director, Dr. Ashutosh Bajpai, Professor Sugar Technology, Shri D. Swain, Professor Sugar Engineering, Shri J.P. Srivastava, Chief Design Engineer, Shri Jitendra Singh, Assistant Professor Sugar Technology, Shri M. K. Banerjee, Senior Instrument Engineer, Shri Mahendra Yadav, Junior Technical Officer (Sugar Technology), Virendra Kumar, Technical Officer (Instrumentation), presented their research paper during the 11th Joint Convention of STAI & DSTA at Goa from 4th to 6th September, 2015. 9) Director delivered the keynote address during the seminar organized by NISSTA, IISR and Ministry of Agriculture on 22nd August 2015 at Lucknow. Dr. Jahar Singh, Assistant Professor Sugar Technology also attended the said seminar. 10) Shri Sanjay Chauhan & Anoop Kanaujia, Assistant Professor of Sugar Engineering and Shri Brajesh Singh, Technical Officer (Instrumentation) presented their research papers during the 45th Annual Convention of SISSTA at Bengaluru, Karnataka on 25th - 26th July, 2015. 11) Director delivered a lecture on “Second Generation Bioethanol” during the training program organized by Bioenergy Mission Cell of U.P. Government at Lucknow on 15th July, 2015. 12) Director, delivered a lecture on “Ethanol Production for Better Health of Sugar Industry” during the 7th Sugar Asia held on 22nd May 2015 at Mumbai. Shri Jitendra Singh, Assistant Professor Sugar Technology also participated in the conference. 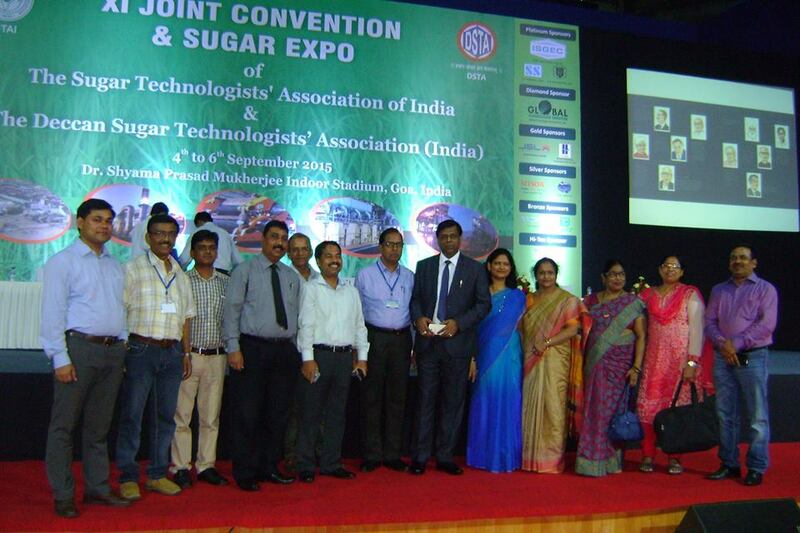 13) Director, Dr.(Mrs.) Seema Paroha, Professor of Biochemistry and Shri Vivek Pratap Singh, Junior Technical Officer (Sugar Technology).attended an All India Seminar on “Environmental Concepts of Sugar Complex” held on 11th May, 2015 at Hyderabad, organized by the South Indian Sugarcane & Sugar Technologists’ Association. 14) Director, delivered a lecture on “Value Addition in Sugar Industry” during one day the All India workshop on “Cane Development & Sugar Industry Contemporary Challenges and Alternatives” organized by Lal Bahadur Shashtri Ganna Kisan Sansthan, Lucknow, U.P. on 30th April, 2015. 15) Director, attended an All India Seminar on “Varietal Improvements and Emerging Technology Tools for Enhancing Sugarcane Productivity” held on 28th April, 2015 at Indore, M. P.
16) Shri Virendra Kumar, Technical Officer (Instrument) and Shri Narendra Dev, Junior Technical Officer (Sugar Technology) attended Short Term Course on “Evaluation and Setting Question Papers” held on 22 - 24 April, 2015 organized by National Institute of Technical Teachers Training and Research, Chandigarh. -: On the request of M/s EID Parry Group, a two weeks accredited training programme was organized by the Institute at M/s Silk Road Sugar Mills, Kakinada, Telangana for the technical personnel of the factory. During the programme, theoretical concepts of various unit operations e.g. raw sugar handling, melting, clarification, de-colorization, crystallization & bagging etc carried out in sugar refinery were elaborated to the participants.